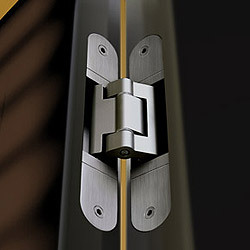 Easy adjustment in 3 Dimensions : for precise and efficient installation and maintenance of flush doors. Wide Range of Premium Quality Finishes : Twelve standard architectural finishes. Custom finishes possible. Mainenance-free: Tested beyond 1,000,000 cycles without any wear. No oil / grease. UL Listed Models :all but TE 240 3D provide 20 min. TE 526 3D Series and TE 626 3D A8 hinge provide a 3-HOURrating. Capability for PERMANENT POWER TRANSFER : for electric lock and security systems. TECTUS® ENERGY. Complete Milling and Installation Support : installation tools and templates are available from your dealer. VERSATILE : Works for WOOD, METAL(with SZ Receiver) and CASING FRAMES (with FZ Fixing Plate). Engineered and made in Germany by Simonswerk : unquestionable manufacturing standards. 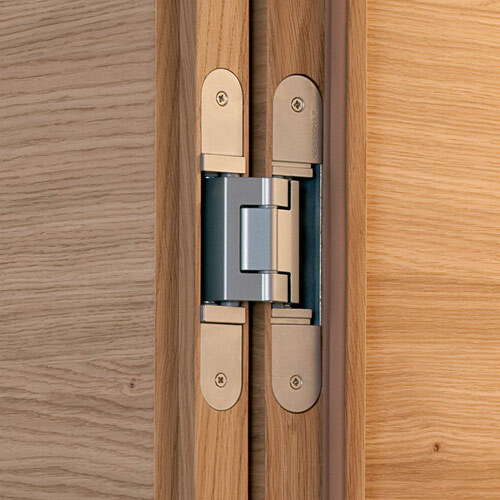 No other hinge anywhere can do all this.